The demands of playing high-level hockey can often be quite hard on the body. From reaction time and agility, to strength and flexibility, performing at your best is hard work. 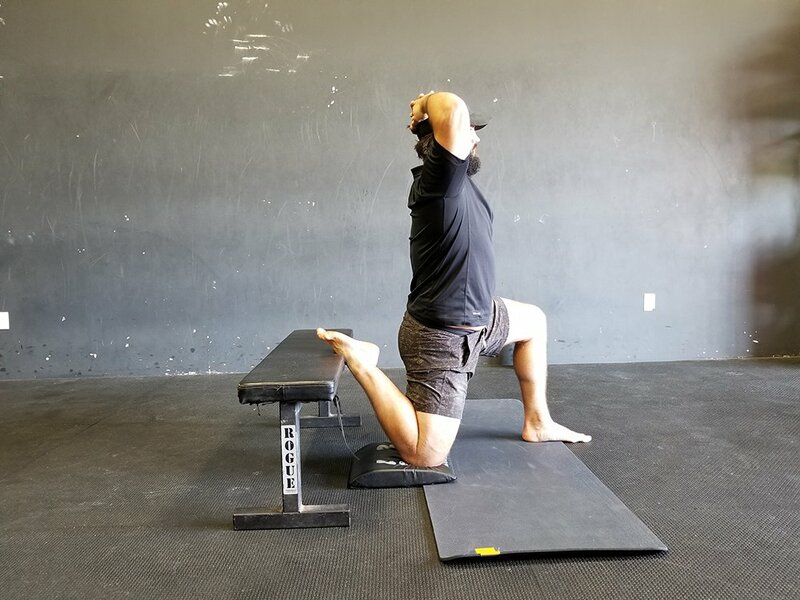 More often than not, quality stretching gets neglected by many athletes and with decreased flexibility, our risk of injury goes up. 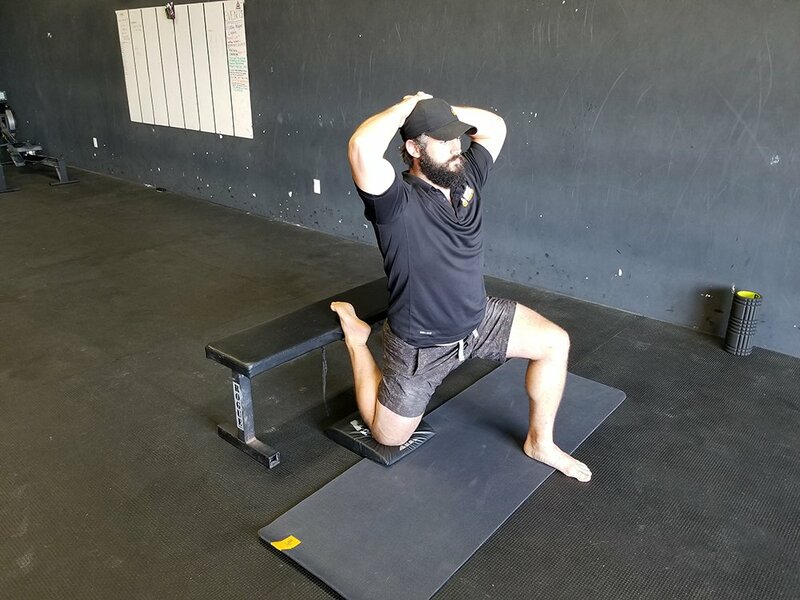 On the flip side, when an athlete increases their flexibility and stability, they can make drastic improvements in performance on the ice due to their flexibility not holding them back from efficient movements and strides. In working with hundreds of athletes at OnSide, we’re noticing some big trends that are flying under the radar when it comes to mobility. 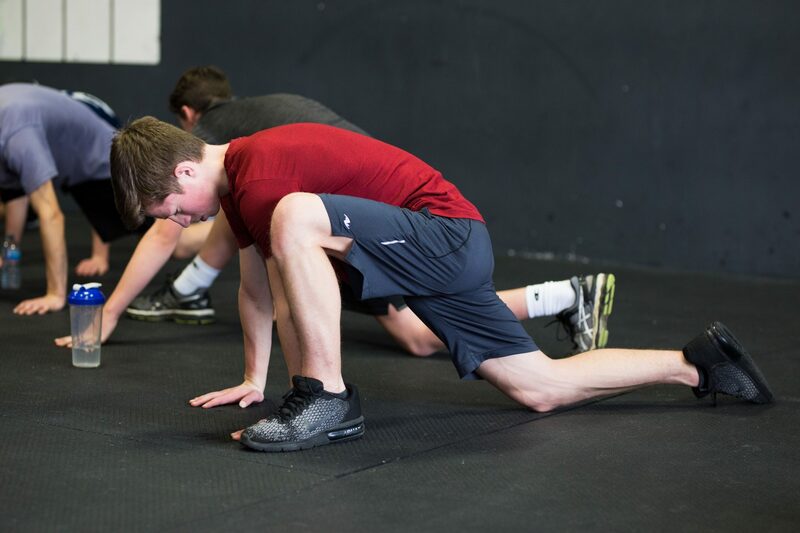 Below you’ll find 3 of the best stretches for post-game mobility and injury prevention. 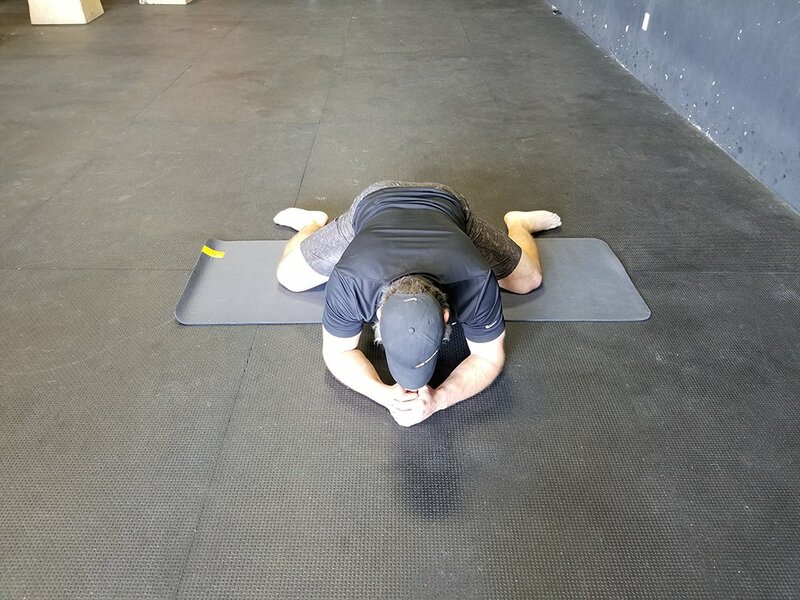 We use the Seated Frog Stretch to combat the motion of skating on the ice. This stretch is going to loosen up your hips and strengthen your back while doing it. Start by lining up your knees under your hips and then walking your knees out to the sides as far as possible. Once your knees are out, rest the inside of your foot on the ground and line it up with your knees. 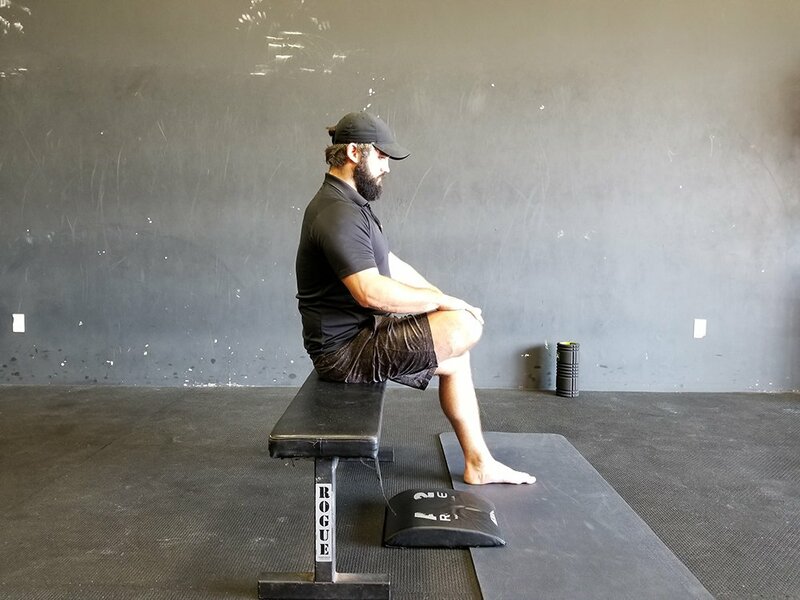 Bring your elbows to the ground, straighten your back and sit as far back as possible. Suggested time in stretch: 3 mins. This stretch has done wonders for OnSide athletes by reducing the wear on their knees. While playing hockey, the constant slightly bent over position (along with the all the sitting we do) will really tighten up our hip flexors. This stretch can be done off a bench or couch. Start by bringing your foot up to an elevated edge, with your front foot up in a lunge position. As you get more comfortable in this stretch, try to keep an upright torso. Bring your knee as close to the base of the bench as possible as you continuously push your hips forward. 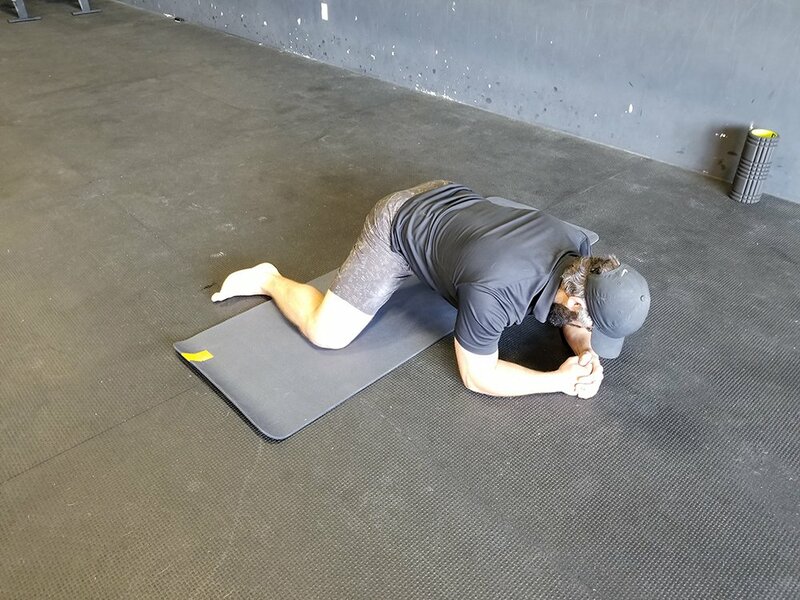 The Seated Piriformis Stretch is an exercise that will help offset the effects of sitting and open up our hips for big strides on the ice. By increasing the range of motion and reducing tightness in piriformis we can have a stronger and more efficient stride. 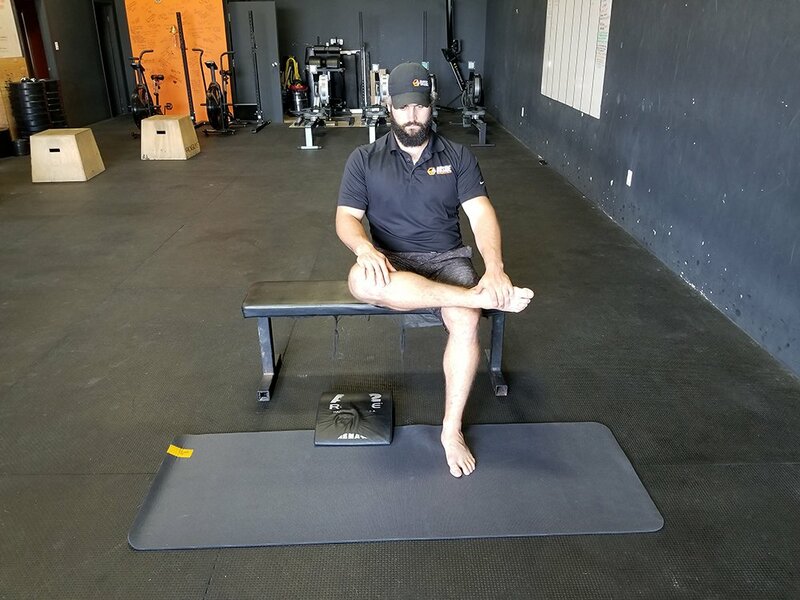 Start this stretch by sitting on a bench that is roughly knee height, place one ankle on the opposite knee, with one hand on the ankle and one hand on the knee. Start to lean forward and apply pressure down on your knee to increase the stretch. To get the most out of these stretches, perform them after warming up or post game. If these exercises are challenging it is a good indication this is exactly what you need. If you experience sharp pain, it’s best not to over-do it. See a massage therapist or physiotherapist if it worsens. If you’re looking to to take your team to the next level, mobility is a great place to start. 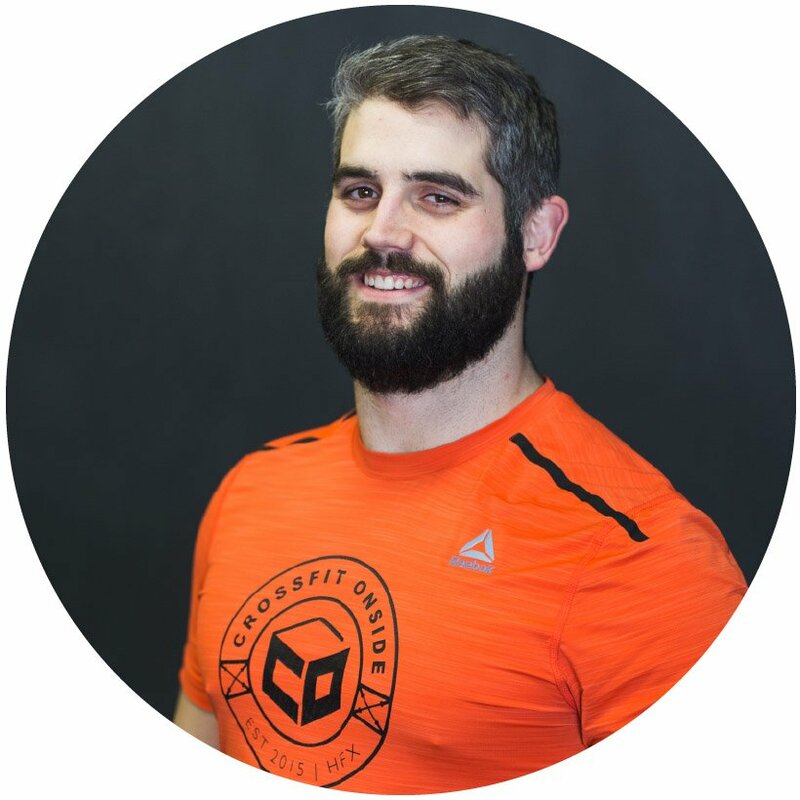 Keeping your team healthy and making sure their foundation is strong is something OnSide Performance Centre has been doing for years. Get in touch if you’d like to know more about our Dryland programs for off-season and in-season. Can you suggest something similar for curling?